Well I'm finally getting around to posting the last of what I made for the Bake Sale a couple of weeks ago. The Better Homes and Gardens Cookbook was a great resource for me in preparation for the bake sale. The multitude of simple and quick recipes were what I needed since I had so many different desserts to prepare in a short time. Since we were starting pretty early in the morning, I knew I wanted to do some things that could be breakfast or dessert. 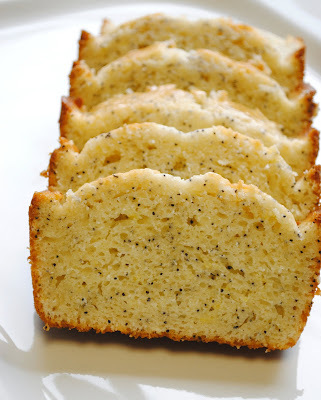 This lemon poppy seed bread fits into that category nicely. It works with a cup of coffee for breakfast or serve it as dessert, maybe fancied up a bit with a blueberry coulis or powdered sugar glaze. 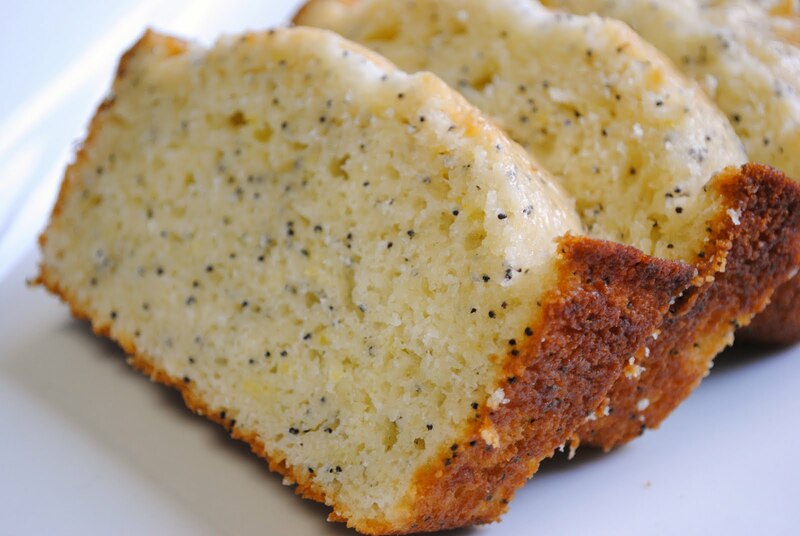 As I've said before, quick breads are one of my favorite things. They come together in about 5 minutes and there are so many options. This could also be made into muffins very easily. 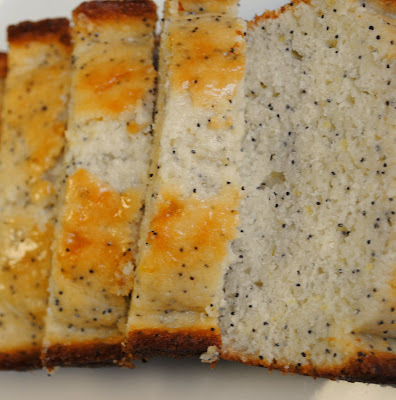 Don't skip the glaze on this recipe as it really gives the bread a nice pop of lemon and adds some moisture as well. I had to tent my bread for about 10 minutes in the oven to prevent the top from over-cooking. If you use 2 smaller loaf pans instead of 1 large loaf pan to bake this, that probably wouldn't be necessary. Preheat oven to 350 degrees. Spray a 8" x 4" loaf pan with baking spray. In a mixing bowl, combine sugar and butter and beat about 3 minutes until light and fluffy. Add eggs, 1 at a time, mixing after each until incorporated. Add flour, buttermilk, lemon zest, salt and baking soda, mixing until just incorporated. Stir in poppy seeds. Pour batter into prepared pan and bake about 40-45 minutes until a skewer or knife inserted in the center comes out clean. It may be necessary to tent with foil for the last 10-15 minutes of baking time if the top is becoming too brown. Cool in pan about 10 minutes and then turn out onto a wire rack covered in wax paper to cool completely. Glaze with lemon glaze below. Wrap in plastic wrap and refrigerate if not serving immediately. Whisk together until sugar is dissolved. Use a large pastry brush to brush onto bread. 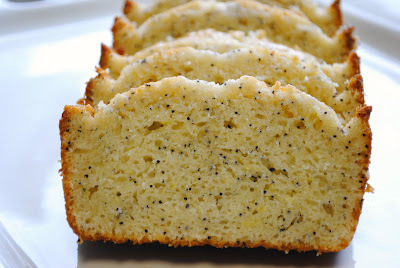 This looks really good but then I love anything citrus and poppy seed. I will have to make this soon! Perfect for brunch or a picnic! this looks great! easy and delicious!